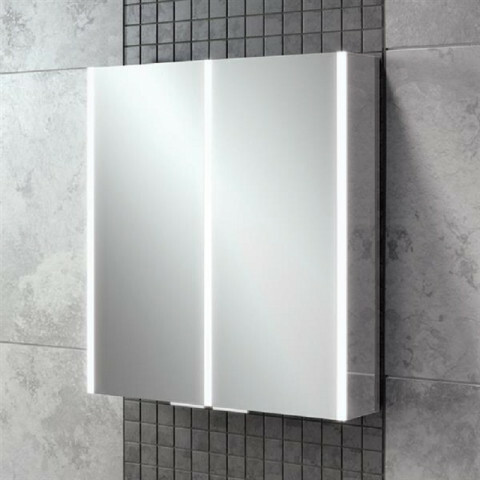 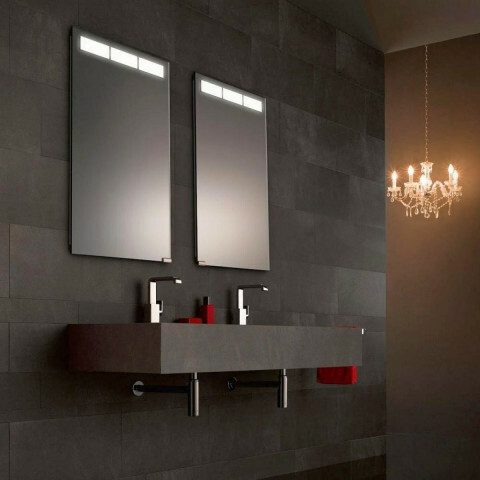 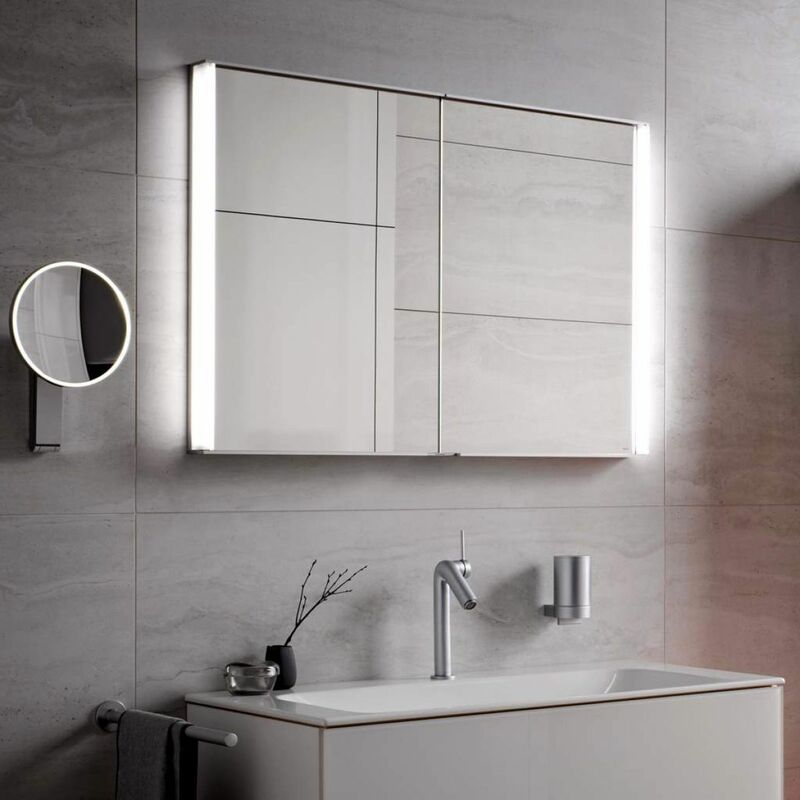 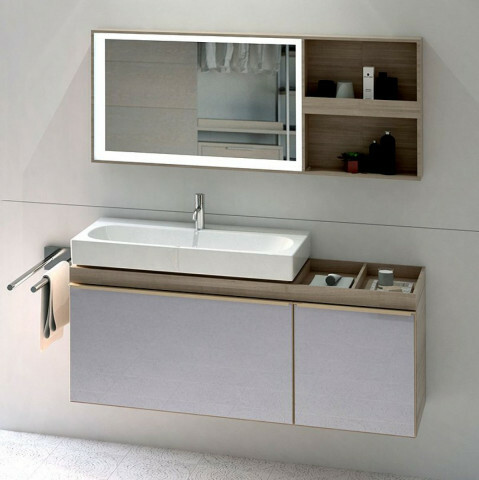 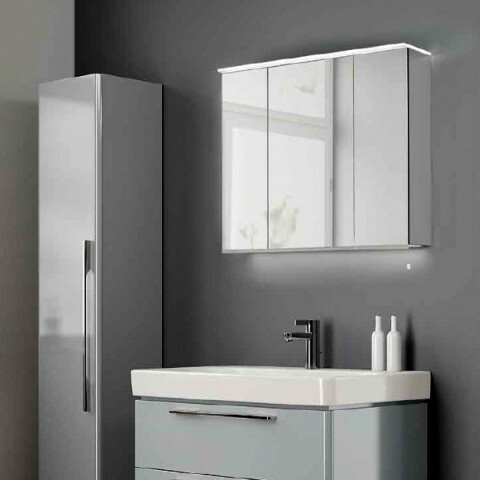 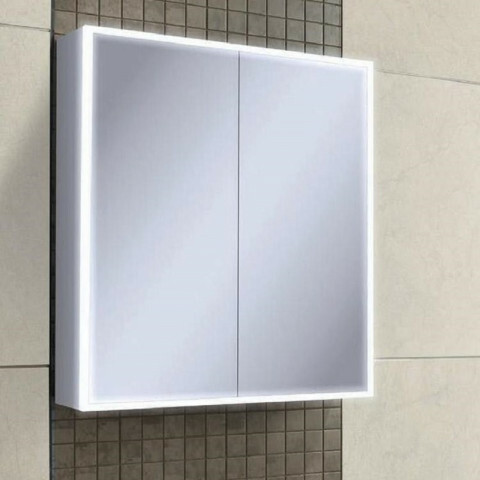 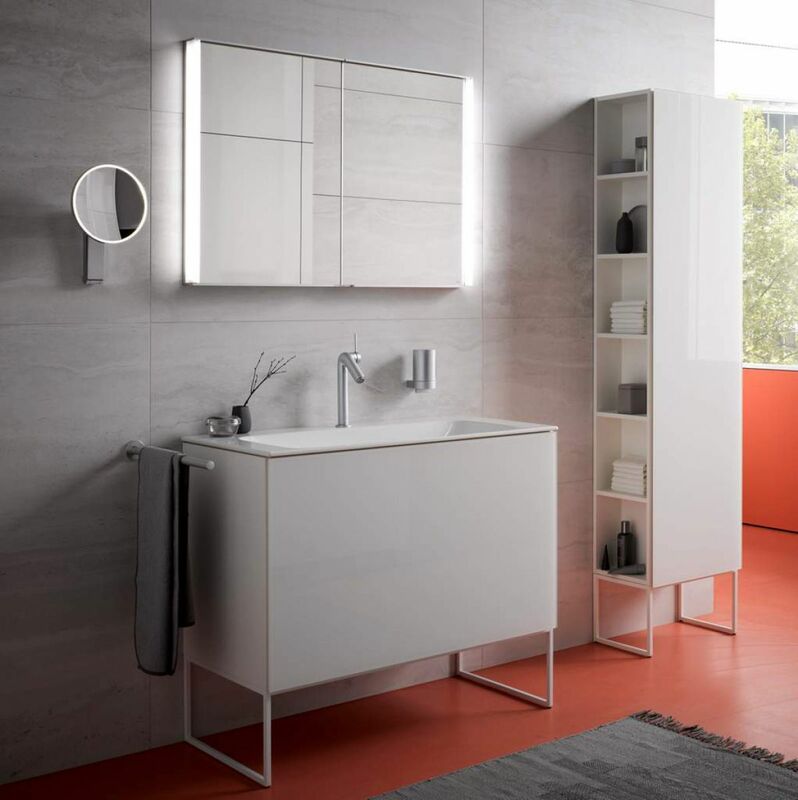 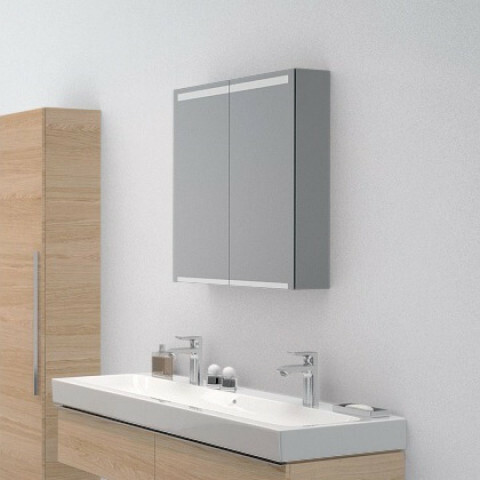 Its modern lighting concept, individually organisable storage space and appealing design make ROYAL MATCH from KEUCO the universal mirror cabinet for every bathroom. 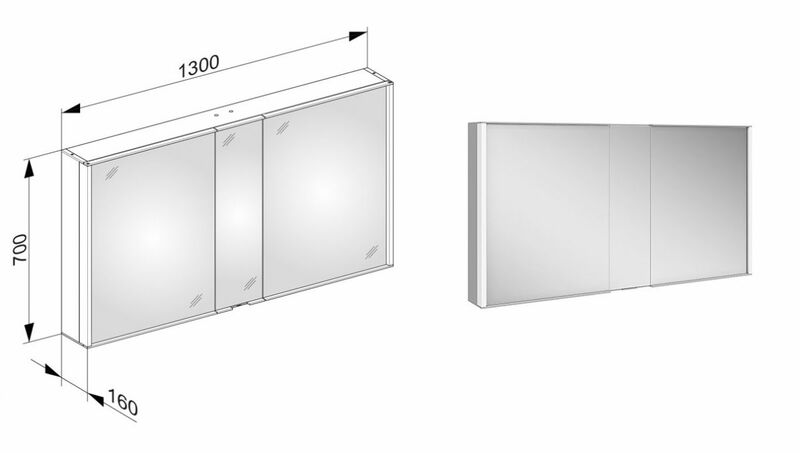 In addition to the classic on-wall model there is also an elegant semi-recessed model. 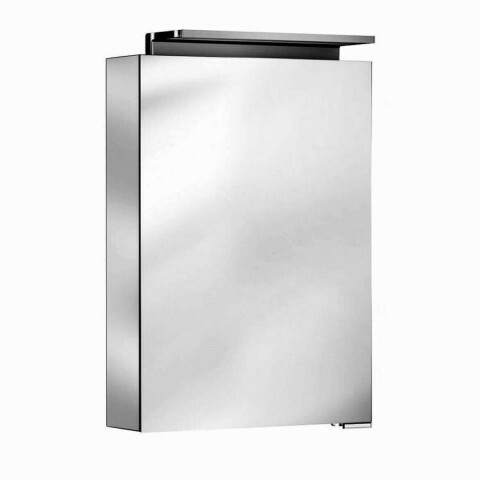 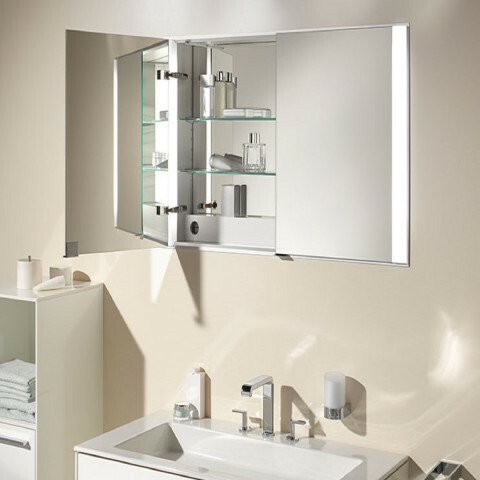 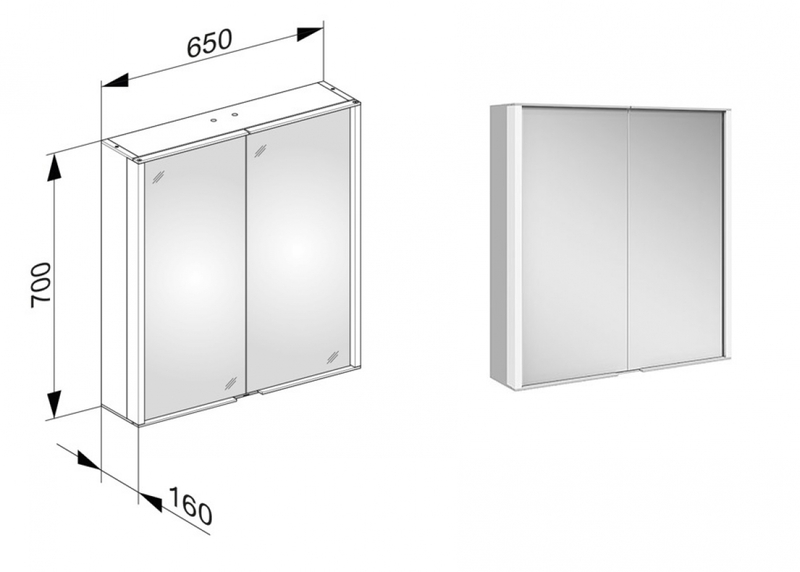 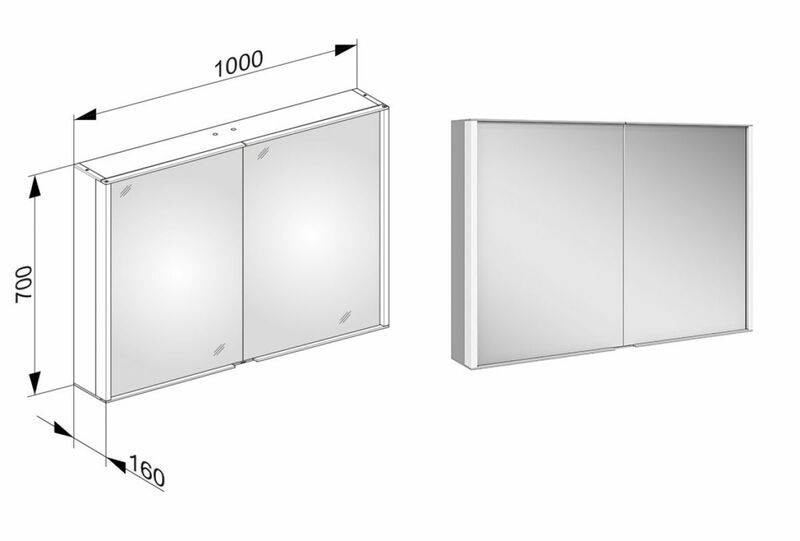 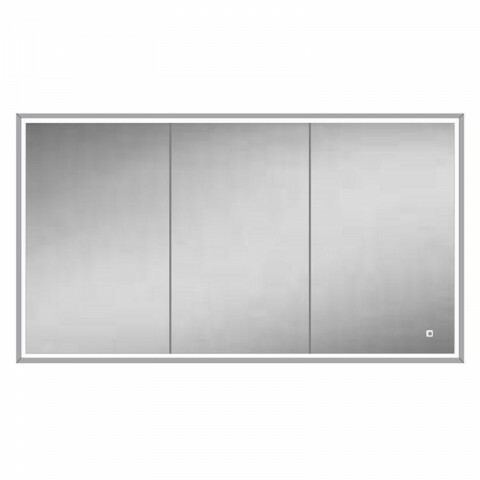 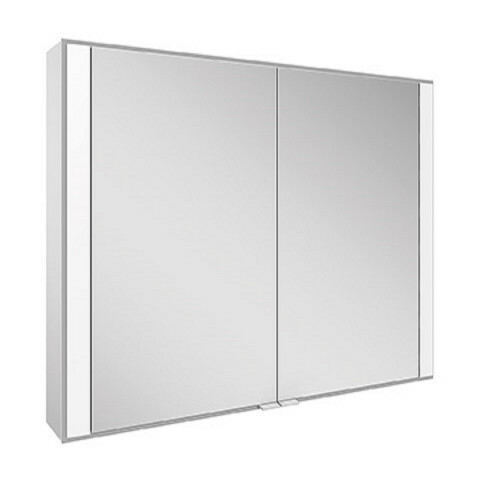 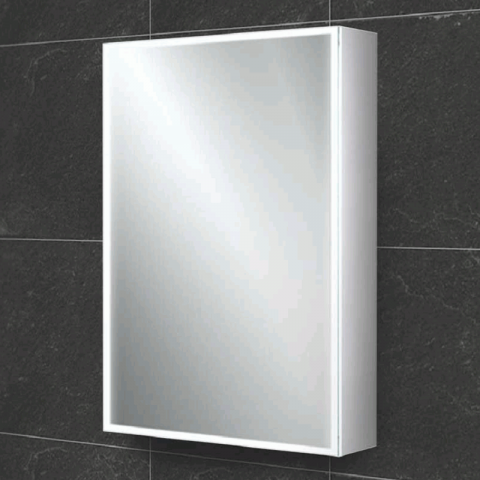 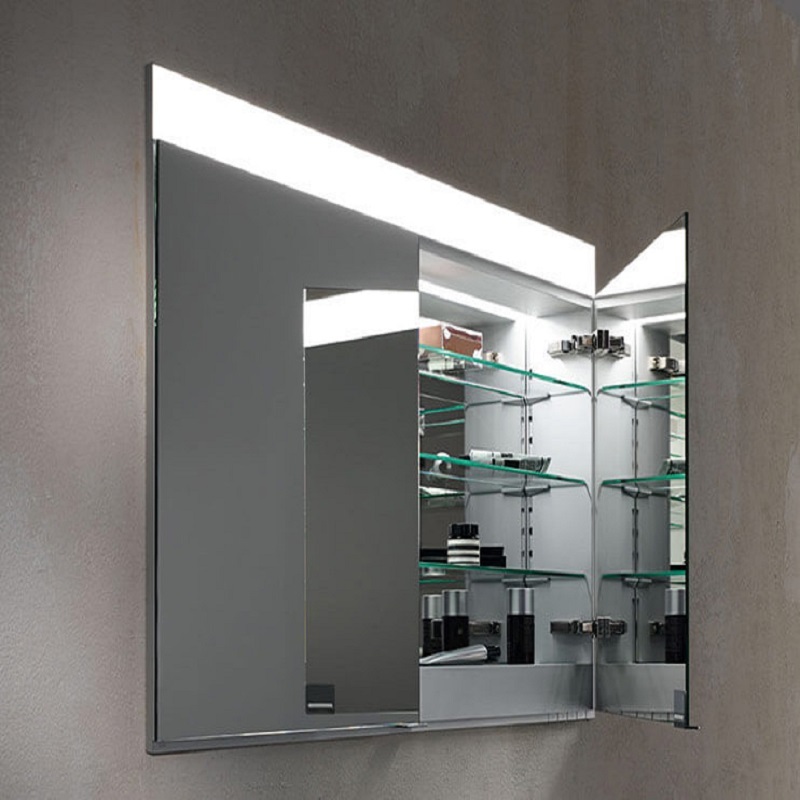 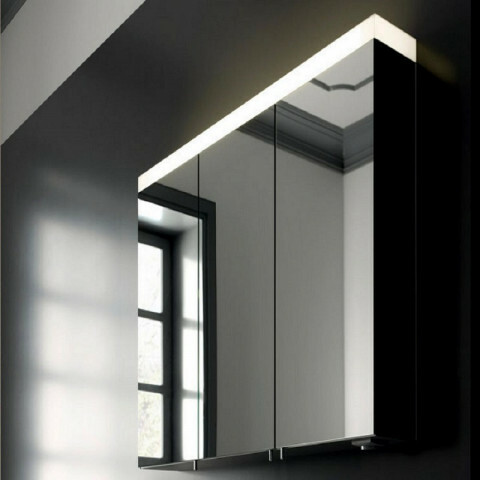 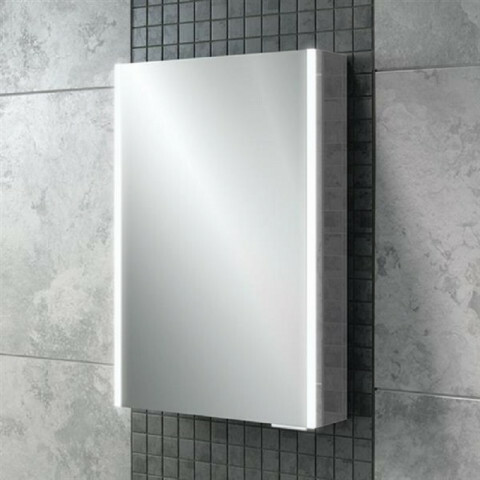 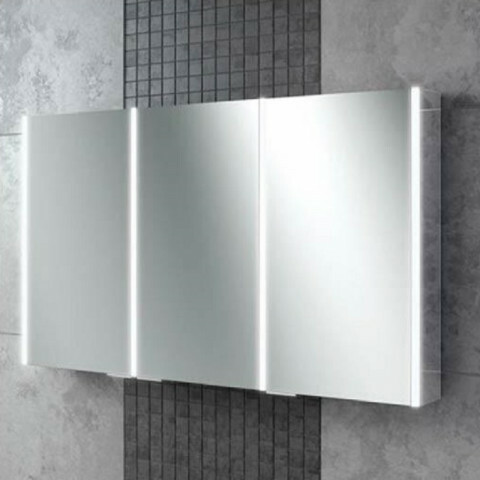 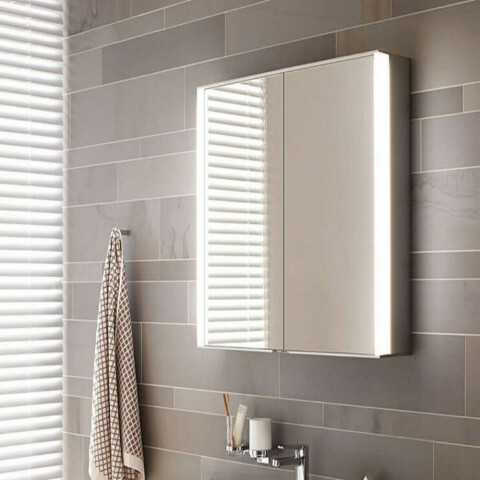 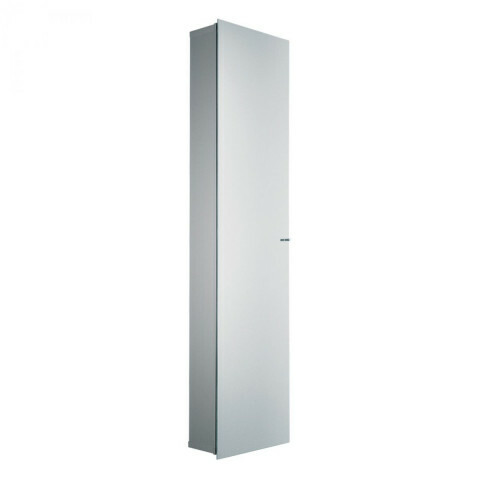 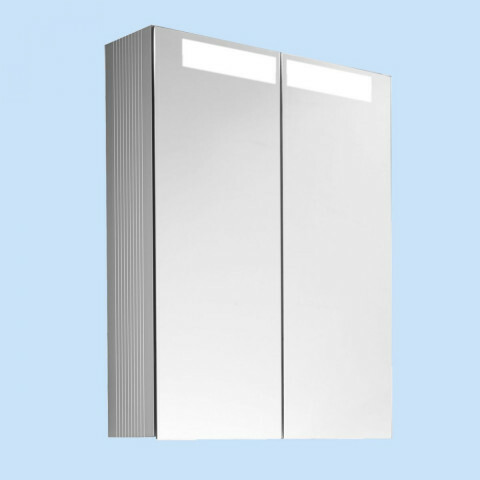 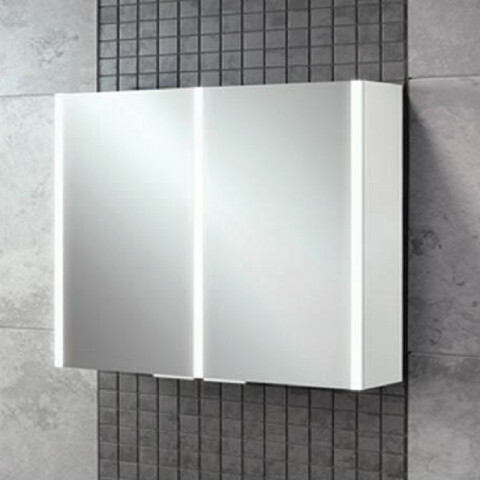 The semi-recessed mirror cabinet presents itself as a shallow mirror, protruding only 67 mm out from the wall. 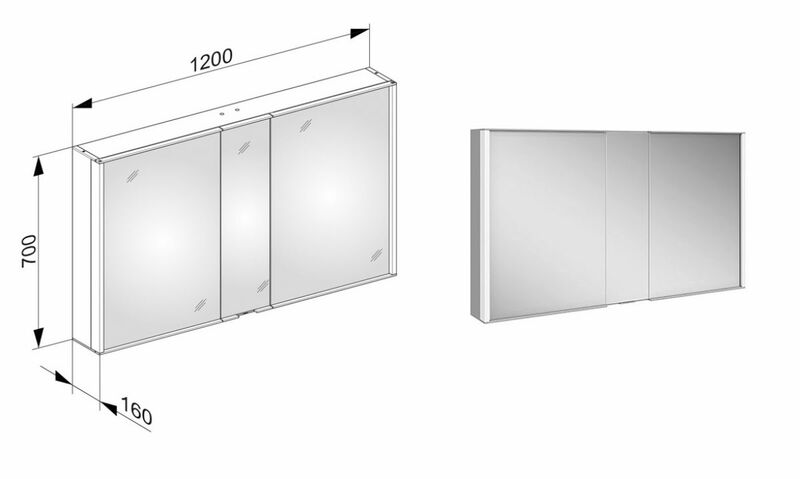 Behind it the generous storage space is concealed in the wall. 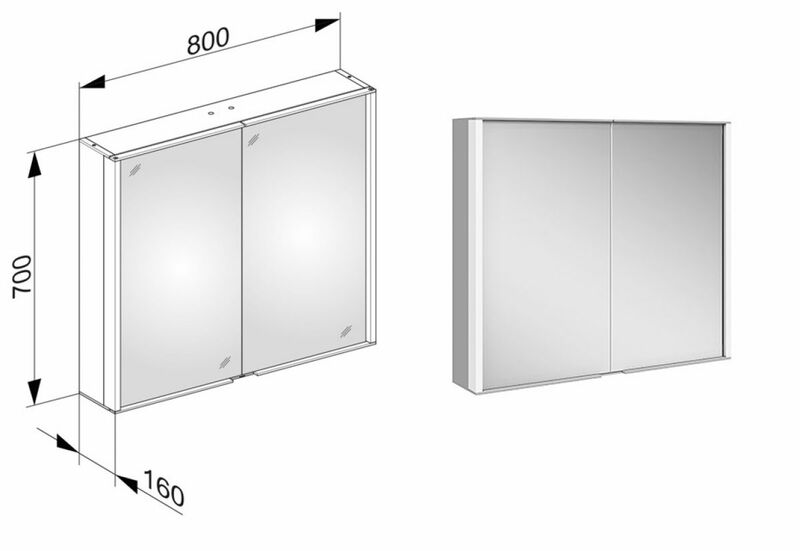 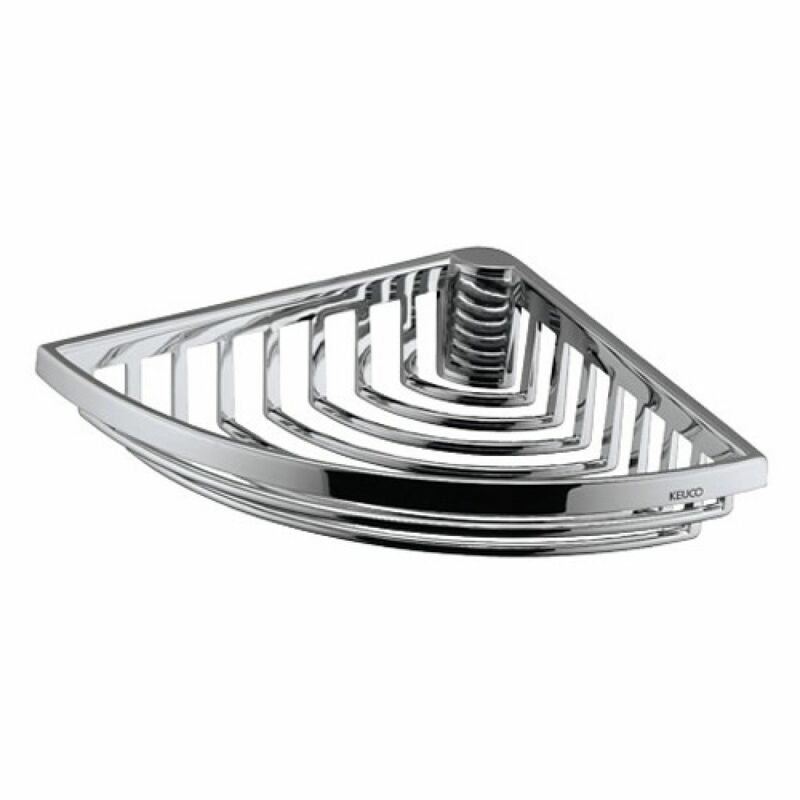 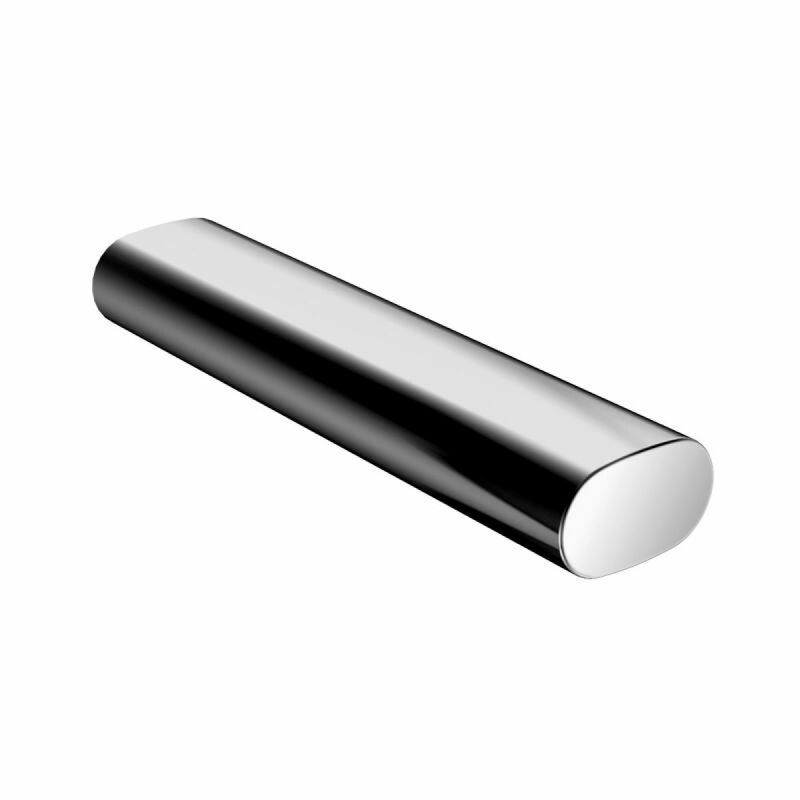 And thanks to the shallow installation depth of only 82 mm, it is also suitable for thin drywall. 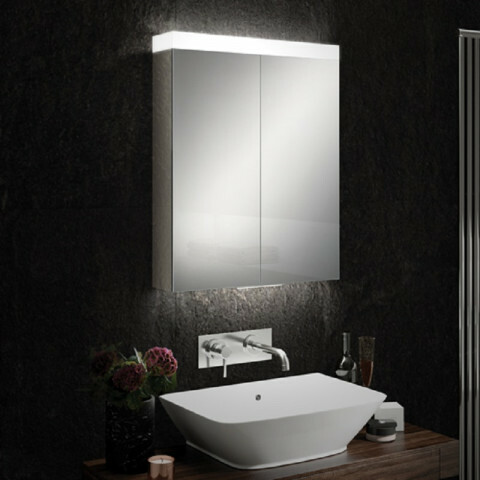 The special thing about the ROYAL MATCH is the LED lighting on the sides: the mirror doors open around the lights, ensuring perfect lighting at each position, regardless whether it is closed or opened. 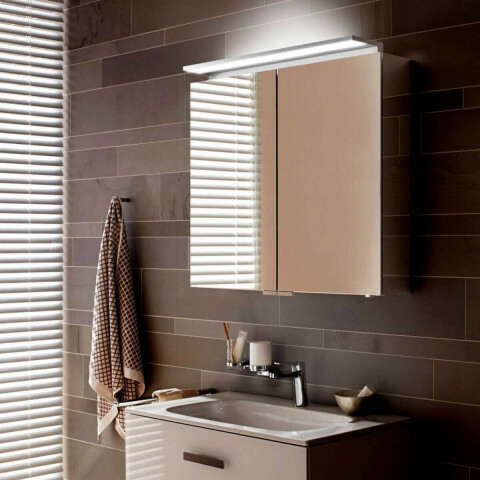 The long LEDs on the sides with their pleasant 3000 K warm-white light provide uniform and glare-free illumination of the face. Despite the long lifespan of the LEDs of over 30,000 hours, in the unlikely case of failure, the lights can easily be replaced by a service technician. 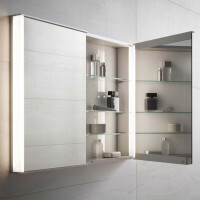 The LEDs are fastened to carrier strips, which, because of their plug connection, can be replaced. 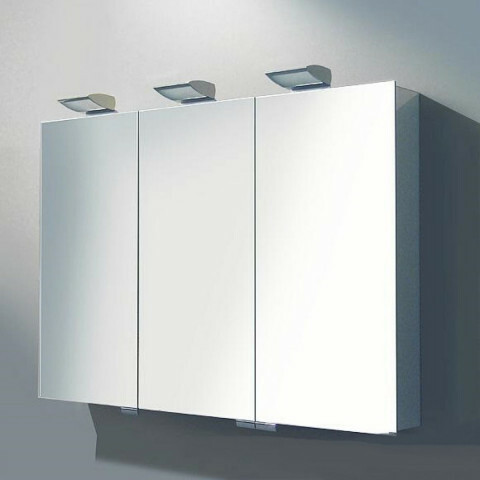 KEUCO guarantees the availability of spare parts for 10 years. 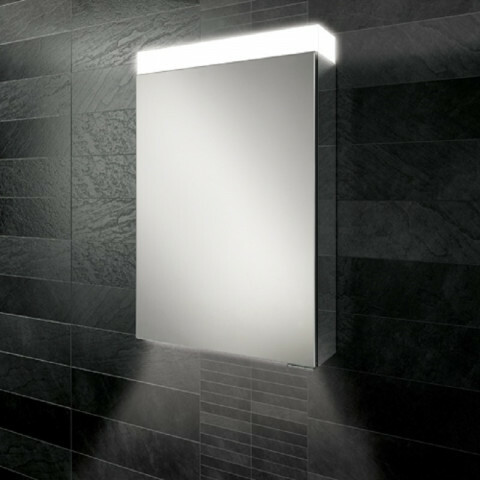 The light can be switched on and off and dimmed to any level via the discreet, centrally located electronic sensor switch. 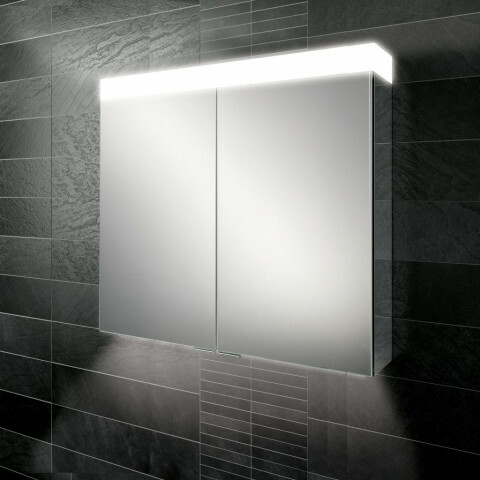 In the night the LED lighting at the switch can be used for orientation. 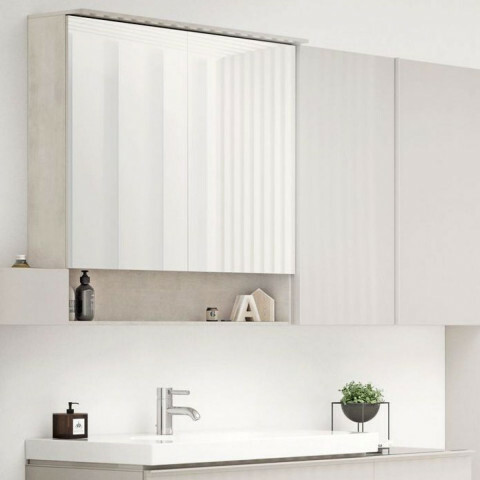 The exclusive interior of the ROYAL MATCH features a premium white-lacquered rear glass panel. 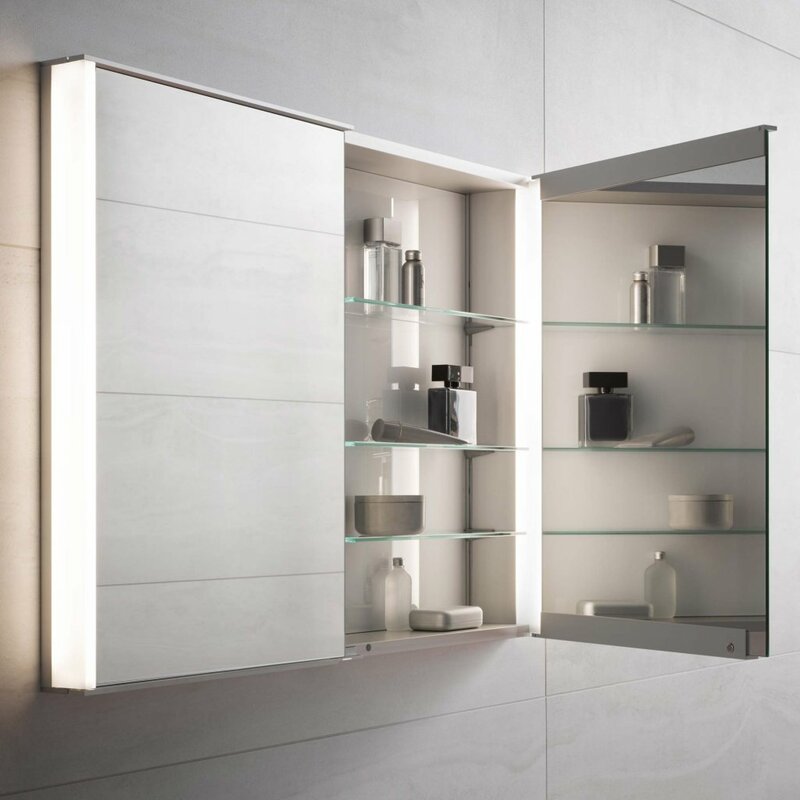 The central divider of the glass shelves allows one to adjust the heights of the glass shelves differently for the left and right sides, to organise things according to personal taste. 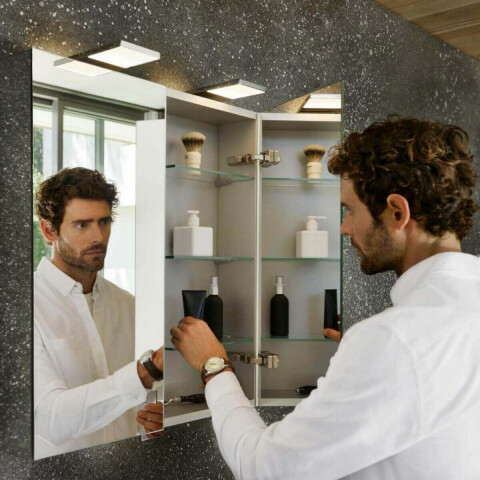 The electric sockets inside are just as practical as the revolving doors with mirrors on both sides, which provide a generous all-round view while doing one s hair. 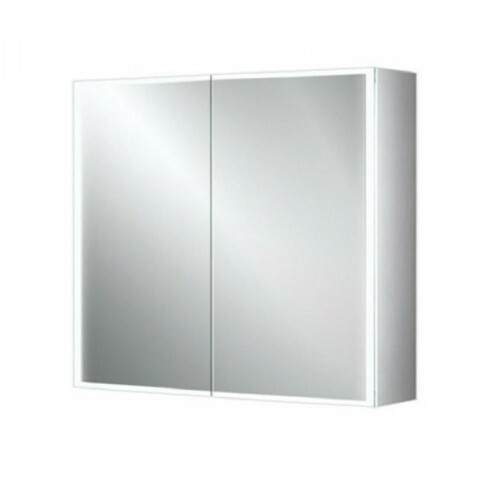 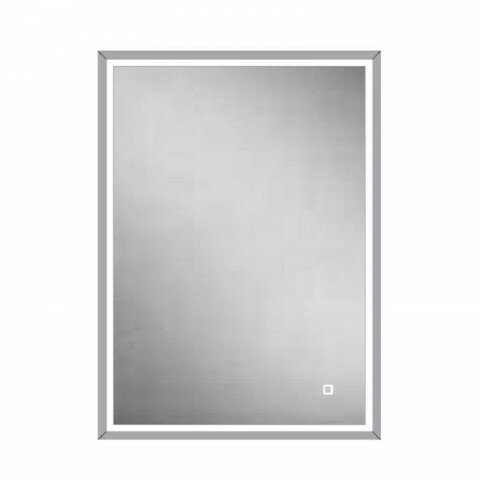 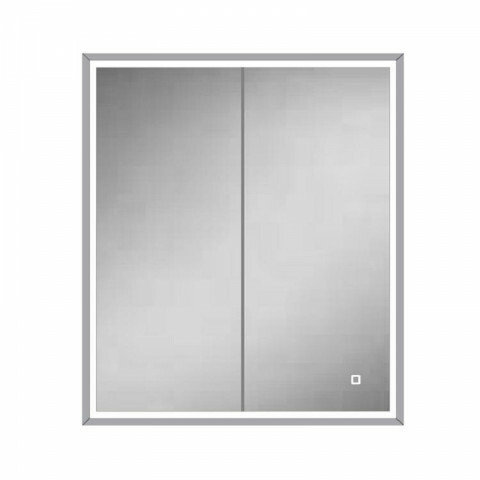 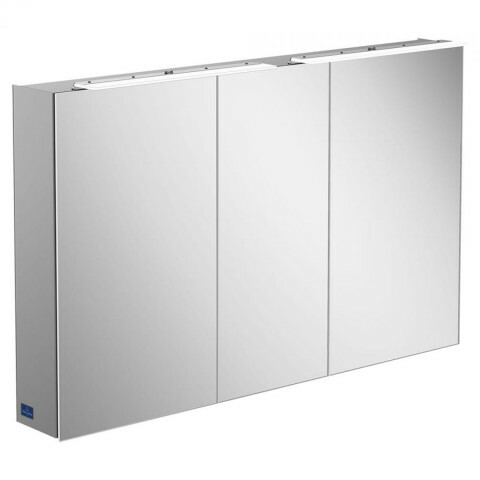 As with all KEUCO mirror cabinets, the ROYAL MATCH has a premium aluminium body that guarantees a long lifespan and is easy to look after. 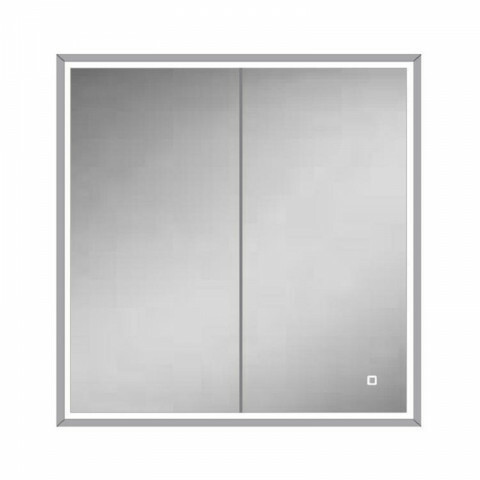 Luxurious aluminium rims also underscore the premium design on the outside.